Want To Learn MMA In Miami Or Weston? Try Us Out With Our 30 Day Free Trial! 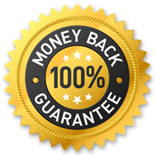 Plus We Have A 60 Money Back Guarantee! 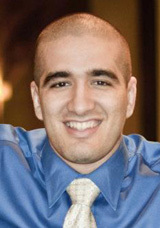 Hello, I’m Marcos Avellan and thank you for visiting my website! Starting martial arts is a super exciting time! I still remember the first mixed martial arts class I took back in 1995 – and to this day, I remember how awesome the experience was. Now you are just one step away from experiencing the thrill and satisfaction of training self defense while getting in great shape! Let me share with you my background… I’ve been training in a mix of boxing, kickboxing, wrestling, judo, Brazilian jiu-jitsu, and the modern MMA style (aka UFC style) since 1995. 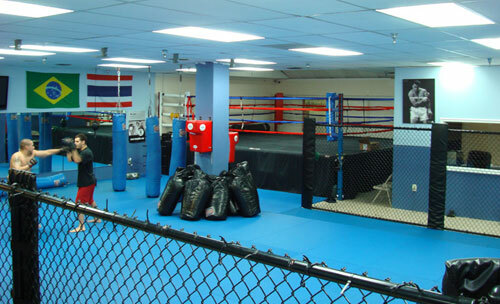 My gym, the Freestyle Fighting Academy, is the oldest modern MMA gym in Miami, having been open since 2001. 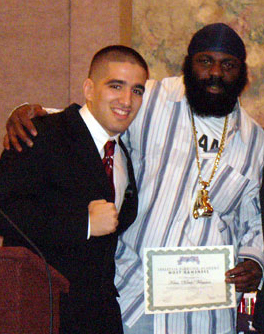 We also opened another MMA gym in Davie (Broward County) in 2008. During all these years in operation, the FFA has trained thousands of people in mixed martial arts throughout Miami, Kendall, Doral, Homestead, Davie, Weston, Pembroke Pines, Miramar, Sunrise, Plantation, and Fort Lauderdale. We have given fantastic results for men, women, and children – ranging from ages four to sixty years old! We have helped men and women lose thousands upon thousands of pounds – which we have all the before and after pictures to prove. We have saved dozens of lives – which we have the testimonials from citizens, law enforcement, and military to prove. We have won hundreds of professional MMA fights – which have been televised in major events such as Bodogfight, EliteXC, Strikeforce, Bellator, and the UFC. Most importantly… we have changed more than ten thousand lives that have trained in our gyms since 2001 – they have all gained confidence, discipline, control over their minds and bodies, and friendships that have made an impact in every facet of their lives. We are the only MMA school in Miami and Davie that offers a 60 Day Money Back Guarantee! Come to all your classes and if you decide training with us isn’t for you… we’ll give you your money back! But Who Is Marcos Avellan? I’m a Brazilian Jiu-Jitsu Black Belt under Ricardo “Hellraiser” Teixeira and co-founder, along with my brother David, of our own system of martial arts called the Freestyle Fighting System. I have over sixteen years of experience in mixed martial arts, having trained in wrestling, kickboxing, and BJJ. I wrestled under Coach Tirso Valls who was a Division I wrestler out of Lock Haven University and Kickboxed for years under Coach Eric “El Tigre” Castanos who was a three-time kickboxing world champion and trainer to boxing world champion Jermain Taylor. I have traveled to Thailand and Cuba to train extensively in kickboxing and boxing respectively. 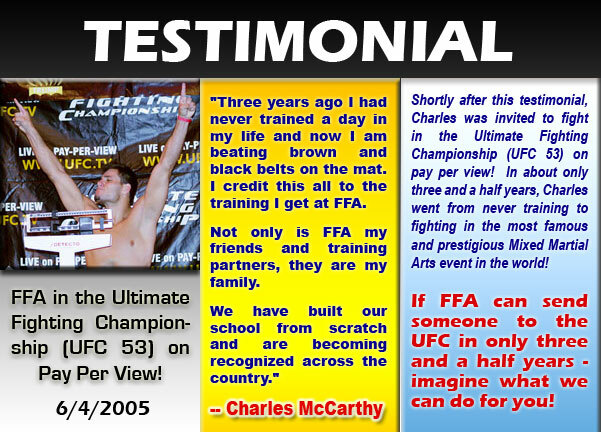 I opened up FFA in 2001 – it is south Florida’s oldest MMA gym. FFA has two locations, in Miami and Davie, with our Miami location having over 1,000 students. As of 2011, I have coached near three hundred fights, with a record of 194-74-1 (72% win rate). I have coached fighters to fight on Bodogfight, EliteXC, Strikeforce, WEC, and the UFC. My team has sent four athletes into the ADCC (Abu Dhabi Combat Club), which is the Olympics of submission grappling (David Avellan, Rima Avellan, Enrico Cocco, and myself). My brother is a four time ADCC veteran and placed 3rd in the World in ADCC 2009 Barcelona under 87kgs. My brother and I have produced five black belts in our system (Enrico Cocco, Leonor Cocco, Mike Bernhard, Jorge Masvidal, and John Mangual). I have an amateur MMA record of 7-1 and a pro MMA record of 2-0-1. I have won numerous grappling titles, including two national titles, with my biggest win being a shut out in the ADCC Trials, where I got the opportunity to represent the USA at the 2005 ADCC Submission Wrestling World Championships at 77kgs. My brother and I have defeated many big name black belts and world champions. 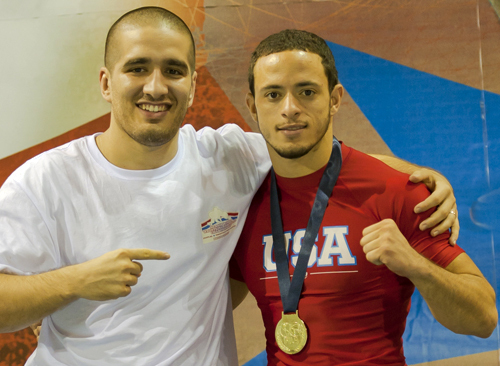 I have coached Jason Soares (FFA Purple Belt) to win the 2011 FILA Submission Wrestling World Championships at 65kg in Serbia. Jason Soares is FFA’s first World Champion grappler. I am one of the head speakers for the MMA Millionaires Consulting Group – speaking in front of thousands of MMA gym owners every year. The group is headed by my business mentor, Master Lloyd Irvin. I am married to my beautiful wife Rima and have three children: Amira, Marcos, and Lloyd. Ok… so if you didn’t know me, now you do! That is a quick snap shot of some of my accomplishments and credentials. Please join my email list by submitting your information below. By putting in your info below, you will get INSTANT access to the video “5 Ways To Choke A Man Unconscious” – PLUS, I will send you more videos weekly, along with lots of tips on MMA and grappling technique, drills, psychological concepts, conditioning and diet, martial arts philosophy, and much more! You got nothing to lose, you can remove yourself from the list at any time – and it is FREE. I do this because I love teaching – that is why I do what I do. I will NOT send you JUNK! I will only send you useful info – check it out! 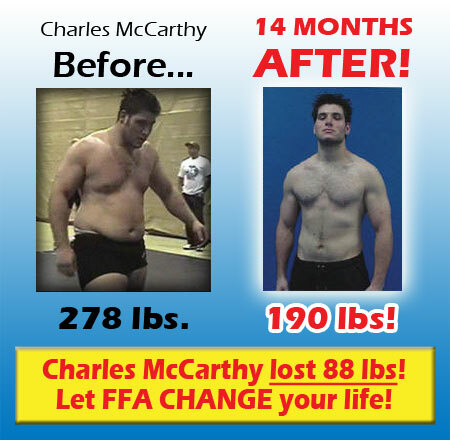 Please Go Ahead And Get Your FREE Video And Pick Up The Phone Right Now And Call 1-888-FFA-GYMS (1-888-332-4967) so our staff can help you learn more about our amazing 30 Day Free Trial. Thank you and I am looking forward to training together! I teach out of both our Miami and Davie locations.